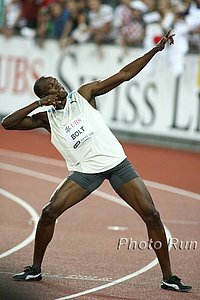 World Athletics Final Is Saturday-Sunday!!! Watch it Live!!! For Free on Universalsports.com!!! Watch Day 1 on Demand Here!! "I won the three biggest races of the year. The U.S. Trials, the Olympics and the World Athletics Final. I accomplished what I set out to do this year." -LaShawn Merritt after edging Jeremy Wariner at the World Athletics Final by .01, costing Wariner $10,000. *Asafa Powell To Take One More Crack At Regaining World Record At World Athletics Final - If he does it, he'll be $130,000 richer.